First off, that is a WEIRD topic for RS lesson. We have a lot of single gals in our ward and it seems silly to do a lesson that doesn’t apply to everybody, but I’m not the boss of lessons. Someone probably needed it. I agree that it’s a good idea to know what you’re looking for, just as long as you’re open to the idea that you might end up with someone totally different from your picture, which it sounds like you are. My husband is my opposite in more ways than I would have imagined, but that’s a good thing. We bring each other to the middle. Someone probably did need it, and like I said everything doesn’t have to be about me but it did seem a little over-the-top. There are 23 single women in our RS too, so its not like there aren’t many of us. Oh well. Perhaps I was just feeling a little sensitive from the release and everything else in my life. I know it was not the teacher’s intent to be inconsiderate in any way. My parents are very different but compliment each other quite well, like you are saying. I used to pretend I didn’t care about getting married but lately I’ve abandoned that conceit. I don’t mope about but I admit it is a little sad sometimes. I think having a vision of what you at least could achieve is helpful, even if life turns out differently. Thanks for the comment btw. I think it was just one of those days. 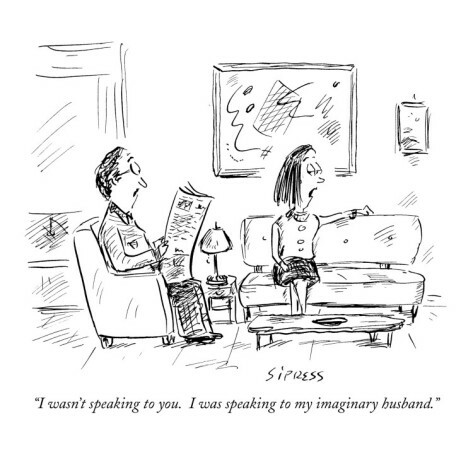 I don’t think your model of an imaginary husband is that unrealistic at all. Most of it is very basic. I can understand your wanting to be married to someone who is very similar to you in beliefs, but I don’t think it’s entirely necessary that your husband be a Republican. I personally resent how quick people are to judge others as soon as they learn their political opinions and I hate that this is an approved, society-accepted thing! People can say “I judge people by their politics all the time” out loud and no one will care less. This is why I never disclose my politics and make it my business always to follow Charles Schulz’s rule of thumb: “never discuss religion, politics, and the Great Pumpkin”. In all honesty I think you may have been too harsh on that other person you said “had no opinions on anything”. I think a lot of people who say that are just trying to avoid an argument and he may have been a very nice man. ” It can defy human nature to keep ‘working and waiting with nothing seeming to come of it’. He speaks eloquently about the moment of frustrations some of us have when we decide ‘what’s the use?’. ‘I seem to be giving too much and getting too little’. That’s what I have always tried to do and I hope you can find happiness in time, whether it is through something you were looking for or something you didn’t expect. You make some very good points. Politics wouldn’t be a dealbreaker for me but I do think there is a difference between what I look for in a spouse than friend. I have many liberal friends but I do think when you are opinionated as I am it is certainly preferred to find someone who shares those strong opinions but if I fell in love with liberal so be it. That guy was a nice guy in many ways but he was so boring. Again fine as a friend but I spent a lot of time with him and never felt like I got to know anything about him. He has since gotten married so I’m sure he found a good fit but it wasn’t the kind of partner I’m looking for. I want someone I enjoy talking with and has opinions about things. It is beautiful quote about waiting for the late harvest but having a vision of what you hope to find. You don’t want to be looking for a perfect Prince Charming but having some hopes and dreams is a good thing. Thank you for that encouragement. I try to be open to things from out of the blue and will go on one date with just about anyone so who knows what God has in store. Thanks for commenting. I forgot about this post. And don’t forget, he might even be an Independent or a third party supporter! Heaven forbid. Could be. I just need someone with opinions who isnt bland.